General appearance is one of grace, power and speed. 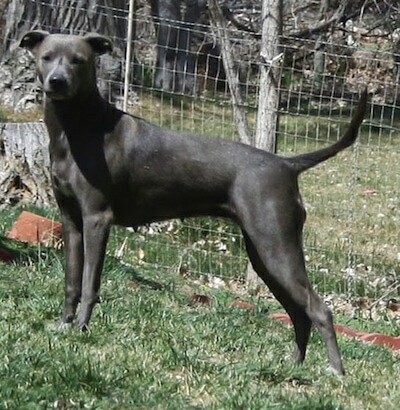 The American Blue Lacy is medium sized, of noble bearing with hard, clean-cut lines, graceful, well balanced, very fast with free easy movement and alert expression. 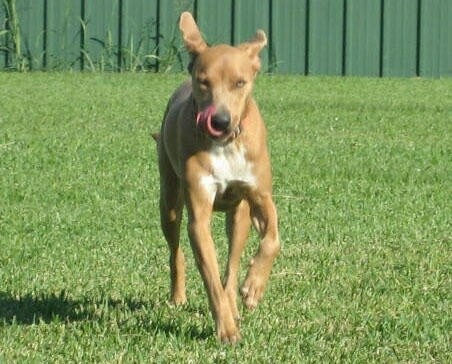 The whole appearance of this breed should give an impression of grace and symmetry and of great speed and endurance. 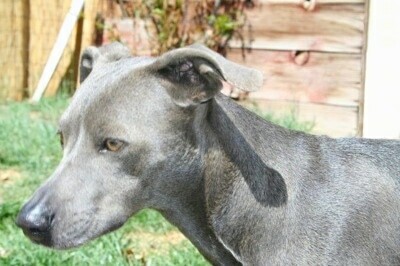 The American Blue Lacy’s expression should be dignified and gentle with deep, faithful, far-seeing eyes. There are three permissible color varieties: blues are any shade of gray from light silver to gunmetal gray. Reds range from light cream to rust. The tri combines these colors with a blue base and distinct red markings as appropriate for trim. White can appear on the chest, trailing up to chin, stomach and toes. Any other white or too much white is not to breed standard and should not be bred. American Blue Lacys are intelligent, active and alert. 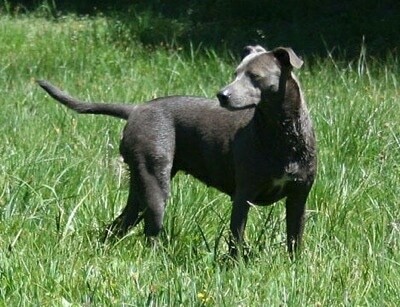 Originally created to work feral hogs and as an all-around working breed for ranchers, cowboys, hunters and trappers, the American Blue Lacy is being bred for both its working ability and for a family dog. They work as service dogs, herding, tracking, SAR (search and rescue), K9 nose-work and other dog competitions. 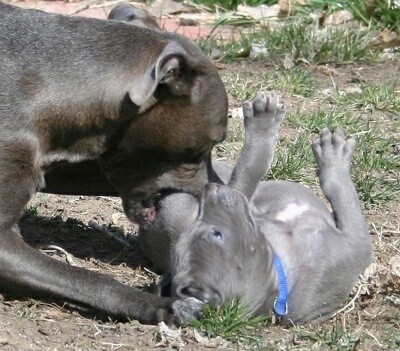 The American Blue Lacy is gentle and good with small children. 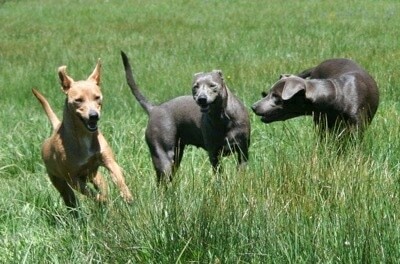 They are bay hounds and are more likely to bark than attack. 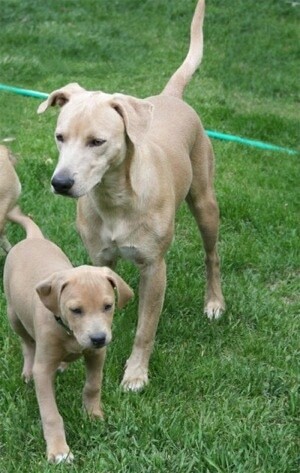 Like all breeds, the American Blue Lacy needs a calm yet firm leader who establishes clear rules. American Blue Lacys also need consistent mental and physical exercise. Due to their intelligence, they can be quickly trained to perform many tasks. Generally healthy. American Blue Lacys are vaccine sensitive due to the blue gene, so over vaccinating may lead to health problems such as immune disorders. They adapt well to most living conditions. Lacys are wonderful house dogs. They do not make very good outdoor dogs because they like to be near you and don’t tolerate hanging out in the cold with their thin skin and light coat. 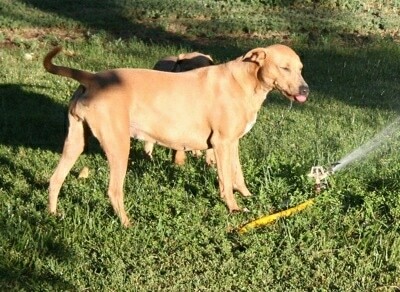 Like most working breeds, the Lacy needs lots of leadership and exercise. 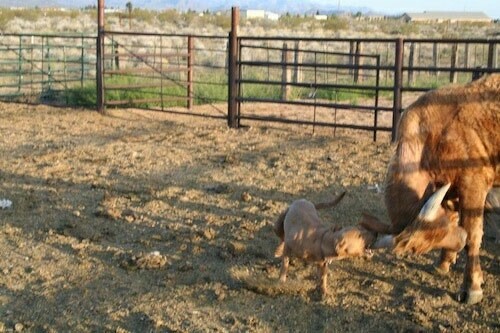 They were created to be a working dog and breeders prefer to place dogs in ranching, hunting, SAR or service dog homes. When not working, Lacys should be taken on a long, brisk daily walk. Due to their incredible intellect they need a lot of human interaction. These not dogs to be left home for 40 hours a week while everyone goes off to work and school. Short hair. Low maintenance. Due to the blue gene they shed very little. The Blue Lacys arrived "out West" by covered wagon from Kentucky in 1858, brought by the Lacy brothers. Named after the Lacy brothers in the 1800s, all Lacys are “blue” Lacys, named for the blue gene they all carry rather than the color of their coat. 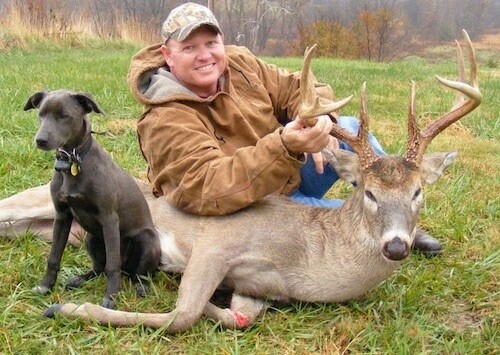 One popular practice of the Lacy brothers was to track down wild boar with their Blue Lacy dogs. 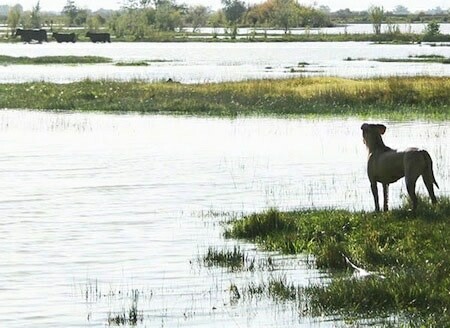 The dogs would find and contain the wild boar by using pack cooperation of surrounding, then herding them into a spot until they arrived on the scene. 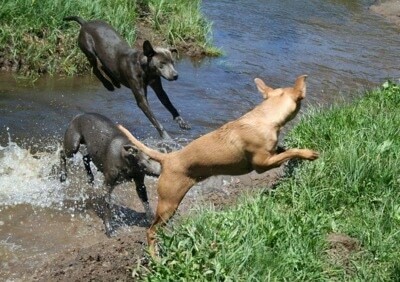 The dogs also enticed the wild boar back to a huge pit. The boar followed the dogs into the pit and the dogs used their incredible jumping skills to jump out the other side, leaving the boar trapped and ready for market. With their incredible noses and skills in tracking game it's easy to see why this is the number-one dog used by United States’ trappers. 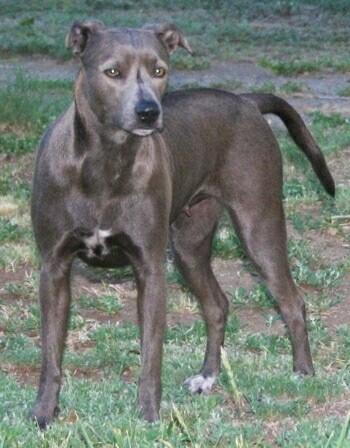 Texas State Dog: Like the Texas longhorn, the Blue Lacy is a Texas original; the only dog breed to have originated in Texas. Blue Lacys are named for the brothers George, Ewin, Frank and Harry Lacy who moved to Texas from Kentucky in 1858 and settled in the area of Burnet County. 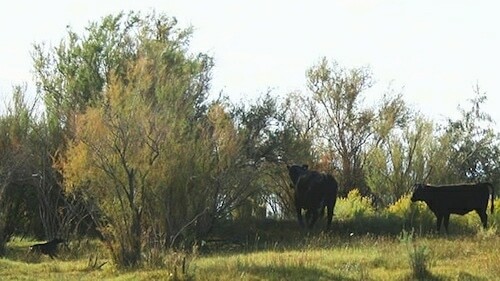 For a hundred years, Blue Lacys were a common fixture on ranches in the Southwest, where it was said that one such dog could do the work of five cowboys; intelligent, energetic, fast, eager to work and easy to train and handle, Blue Lacys herded cattle, hogs and chickens. 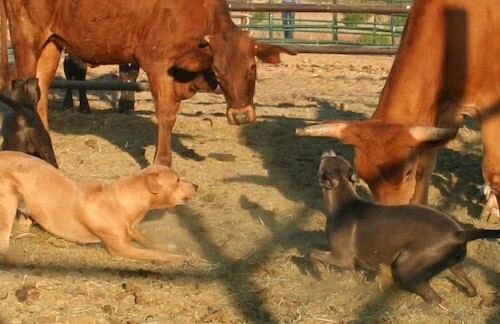 They also served as droving and hunting dogs. 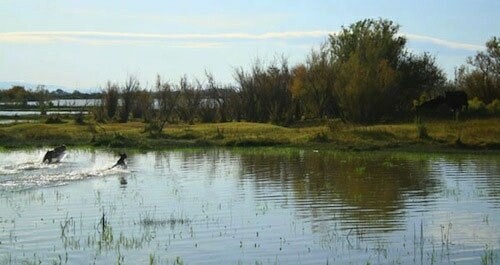 While these gentle, versatile dogs continue to be used on ranches, they are also becoming highly prized again as hunting dogs. They are proving valuable, as well, in search and rescue work, owing to their keen scent-trailing ability; in addition, their easygoing way with children, their aptitude for jogging, agility courses, and games of Frisbee contribute to their growing popularity as family pets. 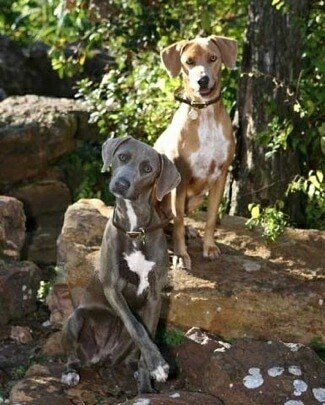 The Blue Lacy is a Texas native, a working dog bred to play an essential role in ranch operations, at a time when ranches themselves became one of the iconic Texas symbols. 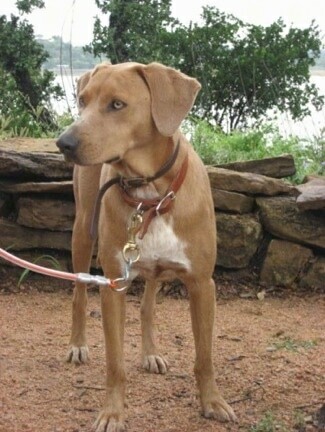 A dog that has more than pulled its weight on many a Texas spread; this proud heritage assuredly gives the Blue Lacy a unique and powerful claim of its own to represent the Lone Star State. 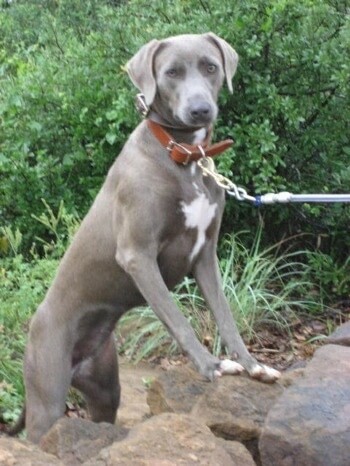 The 79th Legislature of the State of Texas hereby designates the Blue Lacy as the official State Dog Breed of Texas. (Senate Resolution 108). 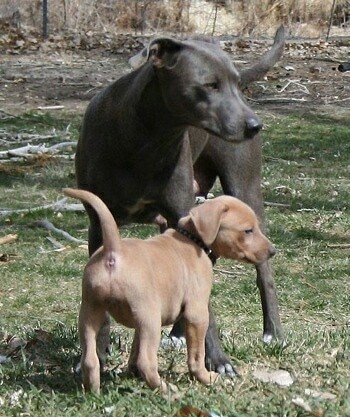 The American Blue Lacy Association (ABLA) has applied to the AKC's FSS program as the "American Blue Lac. 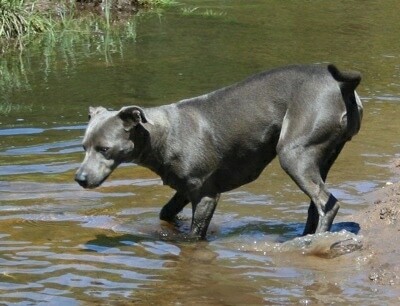 For the gaming dogs, see Blue Lacy. 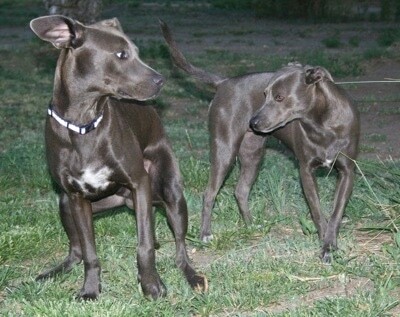 American Blue Lacy Association (ABLA) registered Blue Lacy, photo courtesy of High Desert's Blue Lacy Dogs—"Fantastic temperament and all our Lacys are great around children of all ages. Super gentle. I don't place in homes where they expect to leave their dog home all week while they work all the time. They are incredibly intelligent so need lots of human interaction as a result. 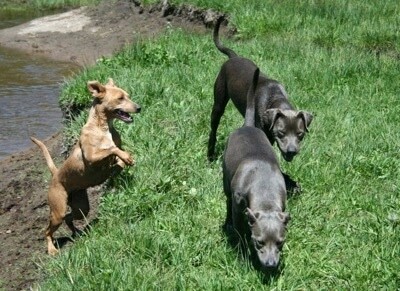 They are really great dogs and you form such a close bond with them; they are like an extension of yourself. Losing a Lacy is like cutting off a body part. One reason they make such incredible work dogs. They watch you and know where you want them to be and what you want them to do before you have to say it. They aren't a high-strung dog so don't go nuts not herding, but like all dogs they do need exercise and their high intelligence means they can make mischief if neglected."